Please apply now to become the next Richland County Fairest of the Fair and serve as the official hostess and ambassador for the Fair. This is your chance to be a leader and promote all the neat opportunities you’ve experienced while at the Fair. Take the next step, apply today and be prepared to strengthen your communication skills and build your resume. 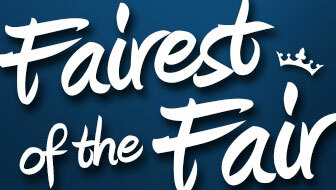 Fairest of the Fair applicants must be 18 years of age as of January 1st, 2016. Our Future Fairest must be ages 15-17 by January 1st, 2016 and Junior Fairest ages 12-14 by January 1st, 2016. All applicants must either be a resident of Richland County or member in good standing in a 4-H Club or FFA of Richland County are welcome to apply. Applications are available from the Fair Office 647-6859 or e-mail carla.doudna@co.richland.wi.us. The deadline to apply for Fairest, is Friday, May 1st, 2015.